Letters From A Tapehead: OOIOO: "Atatawa"
All info was provided by Thrill Jockey Records. OOIOO has always created a musical language all its own. 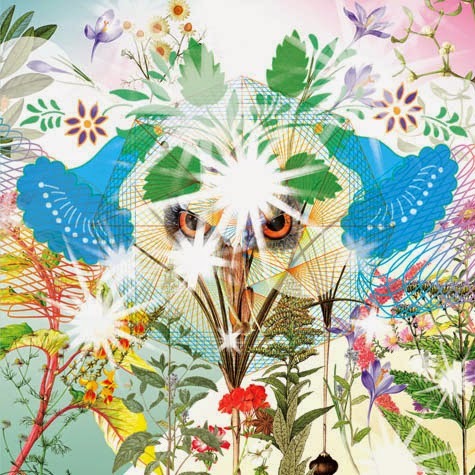 Under the leadership of Yoshimi P-We (also a founding member of Boredoms), the group has recorded six albums that have subverted expectations and warped perceptions of what constitutes pop and experimental music. Four years of work went into making Gamel, their bold new album inspired by the Japanese style of gamelan and the first new music from Yoshimi in over five years. Gamelan is an ancient form that has inspired a great many composers and musicians over the past century, from Erik Satie and Claude Debussy to Mouse on Mars and Sun City Girls. The introduction of this traditional form transformed the group into a super tribe, side-stepping the road between the past and the future. Yoshimi began her music career in 1986 playing drums in UFO or Die with vocalist Eye, and later joined him in the revolutionary noise-pop group Boredoms. Her explosive drum performances captivated audiences and even inspired a certain Wayne Coyne to name a now-famous Flaming Lips album in her honour.